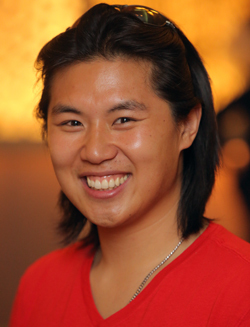 David Hua is an entrepreneur, marketer, problem solver, and team builder. Currently he is the head of platform at Sincerely, Inc., a start-up helping the world become more thoughtful. Sincerely creates apps that allow users to send physical gifts, ranging from personalized postcards and greeting cards to themed gift sets, to the people they care about most. Hua was instrumental in creating the Postagram Engage app, a service that allows brands to utilize mobile photo teams to take photos of their guests, and send them to the guests with branded postcards. Hua collaborates with iOS developers and the Sincerely Ship Library API, which allows third-party apps to send postcards. Previously, Hua served as vice president (VP) of content at HealthCentral and director of blogger relations at Wellsphere. Before that, he was VP of marketing at Genesis Interactive (GI), a company that he helped found in 2006. GI launched GotGame, a revolutionary social gaming platform that changed the manner in which online gamers communicate, as well as discover and access content. GI raised $1.2M through various angel networks. Prior to working at GI, Hua worked in the Latin American Equity Research Sales Department and was a salesman on the Institutional Foreign Exchange desk at Citigroup. In addition, he served as the manager and producer for Downtown Harvest, an indie band based out of Philadelphia. Hua is passionate about business and curious about many aspects of life. He hopes to inspire and learn from those he is connected with while spreading his positive attitude to make things happen. Hua is 2004 graduate of the Smeal College of Business with a degree in finance and international business. Hua will present on Friday, March 22 from 11:15 a.m. - 12:05 p.m. in room 202 IST Building.